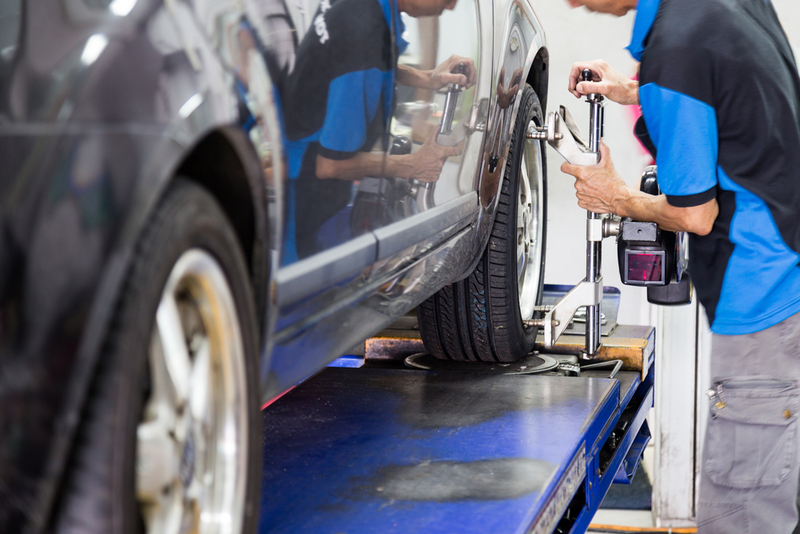 Getting the wheels on your car properly aligned can save you from major issues – and major costs– down the road. Especially coming into spring after a destructive winter, all of the potholes in the roads can be a major headache for the alignment of your wheels. It is important to have this correction fairly efficiently to avoid any future issues. Your car’s wheel alignment has impacts on the rest of the vehicle, including its suspension, steering, and tires. Two major things to consider when deciding whether or not to have your wheels aligned are keeping you and your passengers safe, and saving money. A vehicle with improper wheel alignment has far less steering precision which may make it less safe to drive. Your car may drift and become off-centered. Having your wheels aligned will lead to longer-term savings, especially when it comes to having to replace your tires. Tires that are misaligned wear down far more quickly than properly aligned tires. This also has an effect on the efficiency of your engine – a less efficient engine is going to use up more gas than a vehicle with properly aligned wheels. The most obvious indicators of your car’s wheels needing aligned are your vehicle pulling to one side, or when the vehicle drives in a straight line when the steering wheel is not centered. You may also feel a vibration in the steering wheel. Having your vehicle’s heels aligned regularly is an important part of a vehicle maintenance plan. Poorly aligned wheels can limit the performance of your vehicle and cost you money in the long run. When is it Time for a New Muffler?